Responses to some reader queries about abbreviation issues follow. 1. Which is the preferred abbreviation for “United States,” US or U.S.? 2. When one abbreviates states, should there be any punctuation after, say, TX? And are both the T and the X capitalized? The short form of state names — based on US Postal Service usage and technically considered a symbol rather than an abbreviation — omits periods, and both letters are capitalized. However, the symbol should be used only when listing an address or in a chart or other graphic element where space is at a premium. Newspaper style is to abbreviate according to The Associated Press Stylebook (for example, Tex. ), but in many other periodicals and in most books, state names are usually spelled out in regular text. Because we pronounce each letter in these terms (“ess-oh-pee” and “em-ay”), rather than treating them as words (“sop” and “mah”), the first sound determines whether we use a or an when we speak or write the abbreviation. As with other words starting with the “ess” sound (especially or essential, for example), we precede SOP with an. The same goes for MA, just as in, say, eminent or embellishment. The situation and document type should also be considered as to whether to use US or U.S. The “US” can be misread as the all-capped pronoun. If you are referring to the U.S. Army, best to use the periods. Bottom line: Use your best judgment and think of the intended audience. A.A. (associate of the arts), B.A., B.S., M.A.. M.S., M.E. (master of engineering), Ph.D., Sc.D., D.Sci. (doctor of science), D.Eng. (doctor of engineering), M.D., D.D.S., D.M.D., D.O. (doctor of osteopathic medicine), O.D. (doctor of optometry), M.B.A., M.F.A., M.Arch., M.S.N., M.S.T. (master of science in teaching), M.S.W., M.S.E.E. (master of science in electrical engineering), M.S.M.E. (master of science in mechanical engineering). Especially do not imitate British people who tend to omit the periods in everything, including Mr., Mrs., and Dr. That is their bad habit. We also write Mt. Rushmore and Mt. Whitney. Interestingly, in dentistry the basic degree is the doctorate, but a degree higher than that is called a Master of Science (M.S.). A dentist can study for a master’s degree in periodontics, pedodontics, prostodontics, orthodontics, endodontics, oral pathology, and maybe a few other subfields. If you ever see “USA” following someone’s name, that means “United States Army”, such as in “Capt. James Kirk, USA”. A question from a foreigner, who doesn’t the US abbreviation much, but usually refers to the USA. When does one use USA as opposed to US, or are they interchangeable? The demonym for the United States of America is actually “American”, despite what a lot of foreigners might think. Also, the demonym for the United Kingdom of Great Britain and Northern Ireland is actually “British”, despite what a lot of people might think. It has been this way for centuries, and now is not the time to change. Furthermore, “U.K.” and “UK” are not adjectives, except to lazy writers and speakers. Watch out especially for British people who say, “the U.S. are”. Americans never do this, and for very, very good reasons because the United States is a unified federal republic, and it is singular. It would be just as bad to say, “the U.K. are”, despite the fact that that kingdom consiists of four or more part. Likewise, saying “the Federal Republic of Germany are” is just as despicable. Thank you, as always, for your clever and useful commentary. You might want to check the AP style for abbreviating state names, though; Texas is probably not a good one to use as an example. The latest edition of the AP Stylebook calls for the names of eight states never to be abbreviated in datelines or text: Alaska, Hawaii, Idaho, Iowa, Maine, Ohio, Texas, and Utah. They give a handy memory aid: Spell out the names of the two states that are not part of the contiguous United States and of the continental states that are five letters or fewer. @Ian: Use the abbreviation U.S.A. anytime you want to. It is a beautiful one. “U.S.” is merely a short form of U.S.A. But beware that “USA” w/o the periods means “United States Army”. @Mary: You are so right. Besides that, abbreviating the names that are just four or five letters long does not gain much, so why do it? Some people lose sight of the whole point of abbreviating. The same thing goes for “Guam”. An old abbreviation that isn’t used anymore is H.I., which stood for the Territory of the Hawaiian Islands. Even older was P.I. for the Philippine Islands, but the Philippines became an independent country in July 1946, and it was no longer covered by the U.S. Post Office or anything else American. V.I. still stands for the Virgin Islands, and P.R. still stands for Puerto Rico. What did P.C.Z. used to stand for? @Mary @Dale A. Wood: thank you so much for your contributions, adding valuable insights to Mark’s post. I always take away something from your input. These are, however, merely matters of style–not issues of “laziness.” They vary not only from culture to culture but also among fields of endeavor. @Mark – Thanks for the great post! Sound advice, as usual. I’ve found that when figuring out which style rules are “correct” it’s extremely helpful to know what different style guides say. At work we have two or three house style guides based on AP rules but with some deviations; we also just added one for British English (which I’m constantly updating as I learn more about British style). Keeps me on my toes, that’s for sure! 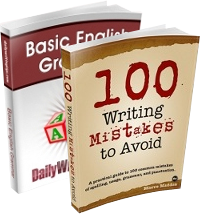 See my post about British English writing resources. Well, some people might call me lazy, but those would be people who don’t know me at all. I omit as many periods as possible because they add clutter. I am fine with USA meaning United States of America, and not because I’m lazy. I don’t put periods after degrees (I have a BA in bio and a BS as a PA, belong to the AAPA, FSCCM, AHDI and so on). I abbreviate names of states the USPS way when addressing mail, but there of course are times when one needs to spell out the entire name. I am sure that if Brits leave off periods, it is not because they’re lazy. That is their style, take it or leave it. I say, when in Rome…and as Lee said (1st post), know your audience. Checking style manuals (for those of us who are not lazy) is not a bad idea either. P.C.Z., or just CZ was the USPS abbreviation (or symbol) for the Panama Canal Zone. Since the canal reverted to Panama’s control, along with its zone, it isn’t used anymore. Just interesting info, it’s where Sen. John McCain was born, and was very familiar to US military folks (especially Navy) who comprised most of its residents. I am consciously omitting periods, BTW. @bluebird: I wouldn’t judge you lazy because of your periodical (periodal?) policy. LOL. True, American usage dictates periods after the likes of Dr., Mr., Mrs., etc., and British usage does not. However, when it comes to all caps abbreviations (which often can be considered symbols) there is no rule, only stylistic guidelines. So, back to the whole point of the original post (POTOP?) using US, USA, TX, FL, the UN, Washington DC, is okay. With acronyms, I would say the the periods may actually be incorrect, e.g. not N.A.T.O. or N.O.R.A.D, etc. In some cases, the specific style of the organization says no to periods, e.g., the US military’s rank abbreviations: BGEN, SGT, SSGT, PFC, etc. … “USA” w/o the periods means “United States Army”. USA is always used as a noun– whether it measn the United States of America or the United States Army. 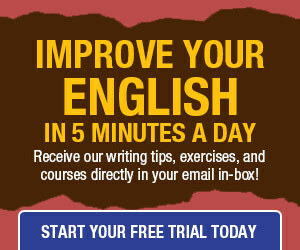 US can also be a noun– here in the US we write this way– or an adjective, e.g, the US Army. USA can mean US Army– the army itself dictates the no period policy– but it can just as well mean the country. As someone already said, most of this is a matter of style relevant to the target of the writing or the of writer’s choice, not any grammatical or orthographic rule. But, as always, be consistent. Don’t write that the US Army defends the U.S.A. In the case of USA, it depends on to whom you are writing. I work for the U.S. Army so USA is naturally that. So what is the solution? The solution is spell it out, when in doubt. Remember–we’re writing for a specific audience and clarity takes the lead. Correction: The Associated Press Stylebook does not abbreviate Texas nor any other state with five or fewer letters. This sound rule applies to the use of a or an in front of regular words, too. It is for this reason that “an” historic is now considered incorrect because the initital H sound at the beginning of the word is pronounced; at least today. Assmedly it was not at some point past. So no we have an hour and an honest man, but a hot potato and a history book. Likewise we have a union, but an undergarmet. In this case pronunciation, not orthography, dicatates. No idea why all the italics.